What can I say about the legendary Myrna, one of the most beautiful, smart, sophisticated and versatile actresses ever to grace the silver screen. Myrna Loy was truly timeless. Her appeal is not restricted to fads or fashion, trends or a time-specific ideal. Myrna would have been famous no matter what era in history she was born into. We’re just lucky she was born late enough to be immortalized in light and sound for all the generations that came after her to share in the fun. The thoroughly modern Myrna was born August 2, 1905. Myrna is best known for The Thin Man series of movies with William Powell and that little dog. The interesting thing about watching Myrna play straight man to Powell is similar to watching a rift in the time/space continuum occur right before your eyes. Myrna is modern, from her acting (understated) to her make-up (again, understated) to the way she effortlessly walks through the film like she is taking a stroll through the park. By contrast, Powell is a contrivance of his time; a drunkard vaudevillian yellowing around the edges as if you discovered a dusty, faded photo of a long lost relative in your attic along with moth balls, an old bag of your grandfathers golf-clubs and wooden tennis racket. Now, before you think I’m hating on Powell (I really enjoy the guy) watch the first Thin Man and you’ll immediately get what a mean. The poor sod just can’t keep up with Myrna no matter how hard he tries. And trying hard is the worst thing you can do opposite a natural. A lot of the leading ladies in this series rise effortlessly above the material they were cast in simply because everything but the leading lady (and possibly hair and make-up) was run by men. Very few women, if any, were behind the camera and so everything was filtered through a forced-perspective of male wish fulfillment. 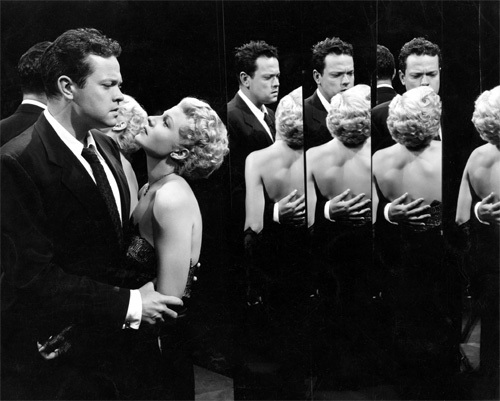 What was in control by a woman, the actress herself, was her acting ability and her wits in front and behind the camera. Myrna was a force to be reckoned with even before she became famous. She knew her appeal, knew how to look good, sound good and, most importantly, not let the schmuck playing opposite her ever get the upper-hand. But there was something even more special about Myrna Loy. As if she was in on the joke. That all-knowing look only a woman can give the world, letting us know they know we’re full of it – but it’s all right. I had a friend down in Los Angeles who adored Myrna. He judged all other woman by her impossible standard. Inevitably, the schmuck would always end up leaving wonderful women simply because they were human, fallible and, god forbid – burped, belched or farted in his presence. Any imperfection and he was done with them. The irony is, Myrna was as human as any of these women. She definitely had a great sense of humor (which this guy did not, but thought he did) and would have given my friend the time of day in real life. Real life. I wonder sometimes if I was ever lucky enough to meet my leading ladies in the flesh, in living color, if they would resemble the image in my mind’s eye after watching their shimmering image on the silver screen. Of course, I’d be in shock initially. But I mean after, when the shock wore off and we got to know each other human to human. 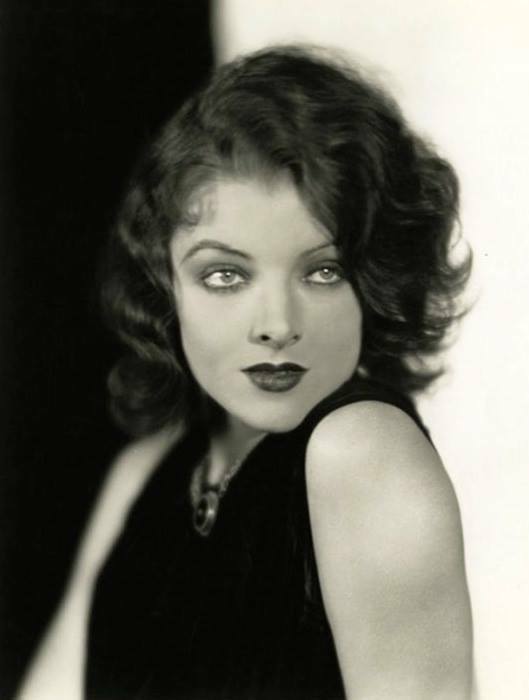 That’s where I think Myrna Loy would rise to the very top of the list for me. Funny, direct, accessible – these are the qualities most appealing and desirable in a woman for me. And these are the very same qualities that make Myrna Loy timeless. As bright a star today as 60 years ago when she strolled across a sound stage and became immortalized in light. May that light never fade on my beloved Myrna Loy. I haven’t seen the new documentary “Garbo The Spy” about WWII double agent Juan Pujol Garcia, now in limited release. But I knew from research who Garcia was and what an amazing role he played in helping the Allies win. Less known are the espionage exploits of Greta Garbo, the movie star Garcia’s handlers saw fit to code-name him, supposedly for his “great acting” ability. Unlike Garcia, Garbo’s wartime efforts remain shrouded in mystery to this day. Nevertheless, what little is known of Garbo’s clandestine life is fascinating stuff. “That’s a direct quote. She said it to me over dinner, and it was so out of character. It wasn’t her habit to make up such a story to stop a dinner party. Or maybe not so out of character. As a child, she had had fantasies that ‘I might shorten the life of a cruel king and replace him by a romantic knight’”. What I find fascinating and intriguing about the quote is how Garbo expressed concern over the timing of the war, yet her ability to dispose of the despot she never questioned. 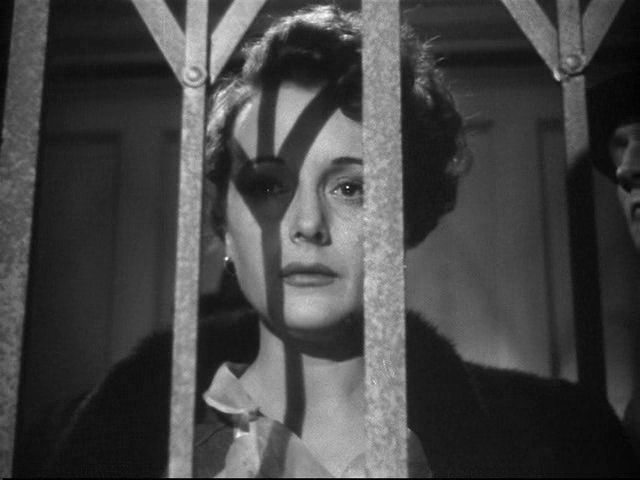 That got me thinking, what if Garbo had embarked on her secret mission and simply ran out of time en route? What would have happened to her trapped on the open sea? I knew I had a great premise for a book. And after extensive research, there was ample evidence to believe the movie star who once played Mata Hari was not only serious about her secret plot to pre-empt World War II, but actually volunteered to spy for the Allies in Europe and personally saved Jews in Denmark. 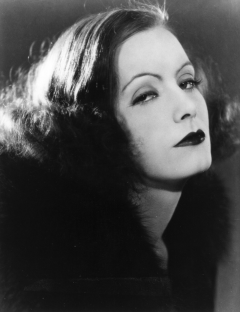 Garbo was shaping up to be a very real hero, not unlike the roles she had portrayed on film. The movie queen and fashion icon’s influence over pre-war Europe was turning every head of state, including Hitler, who owned a personal copy of “Camille” and obsessively watched Garbo’s courtesan die over and over onscreen. 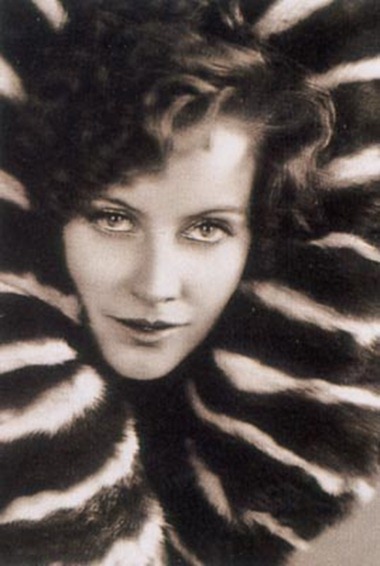 Hitler wrote her fan letters and considered Garbo his ideal Aryan Goddess. But Hitler wasn’t the only one obsessed with Garbo. She was also the first international star to be hounded by paparazzi, decades before the phrase was coined, her every movement recorded daily in the tabloids. The more Garbo sought privacy, the more insatiable the public’s desire to know about her. Garbo’s refusal to give interviews in the mid-thirties only fueled the public’s interest and the paparazzo’s efforts to catch her in candid moments. Not good when you’re a famous movie star trying to be a spy. But to this day, we don’t know to what lengths she went to save the world from evil precisely because she was so private. So, maybe the real Garbo was a better spy than anyone ever imagined.